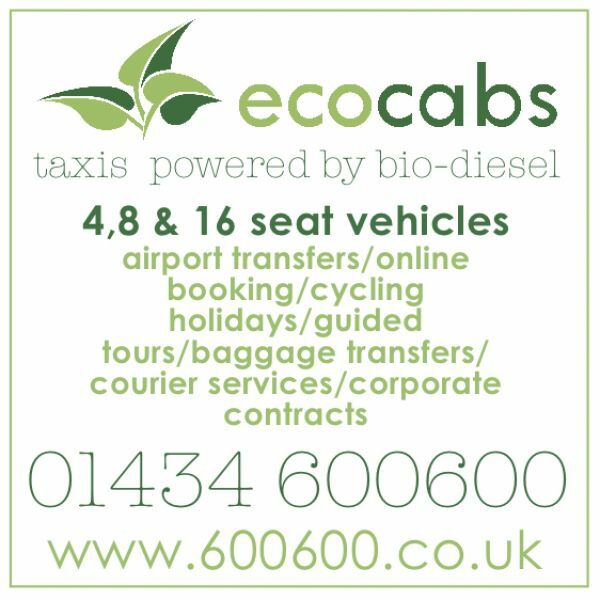 Ecocabs based in Hexham have been operating a reliable, safe and professional taxi and minibus company in Hexham, the Tyne Valley, Northumberland, Tyne and Wear and nationally since 2006. Catering for everyone including locals, tourists, business, sport, wedding and school journeys. Based in Hexham in the North of England, we provide local and national services at competitive prices whilst providing a top quality, time efficient service. 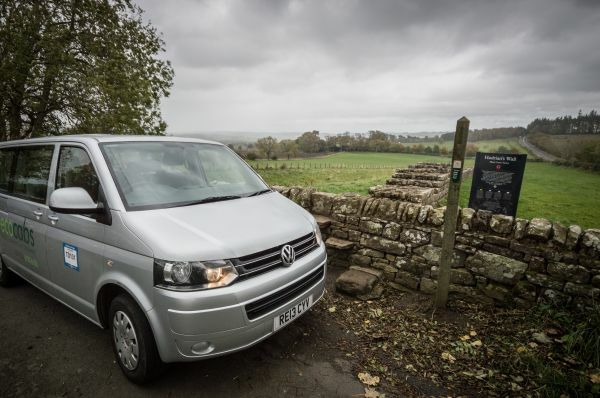 We specialise in airport transfers to Newcastle Airport, luxury minibus wedding transport, transport to Hadrian's Wall and cycle transport for the Sea to Sea (C2C), Hadrian's Cycleway, Sandstone Way, Reiver's Route and many more. We regularly take walkers, cyclists and visitors to Hadrian's Wall, transporting people, baggage and bikes along the wall, to and from accommodation and popular sites of Vindolanda, Housesteads, Sycamore Gap, Chesters’ Roman Fort and Birdoswald as well as offering bespoke tours. Hexham Racecourse, Northumberland National Park and Kielder Forest are also popular destinations which we regularly transport visitors to and from. We work hand in hand with many of the local hotels and wedding venues including Slaley Hall, Matfen Hall, The George at Chollerford, The Angel of Corbridge, The Beaumont in Hexham, The Lord Crewe at Blanchland, Langley Castle, Healey Barn, Vallum Farm and Walwick Hall. 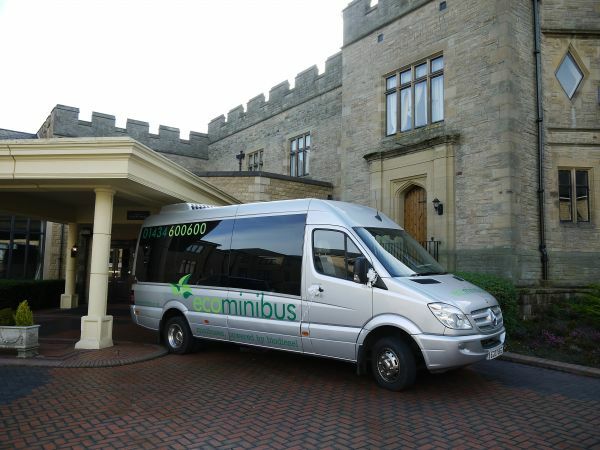 Our minibuses and luxuriously appointed 22 seater Mercedes Sprinter mini coach can accommodate wedding and special event guests in style and comfort. 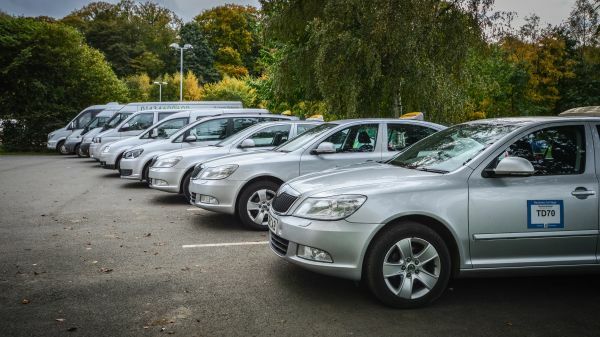 Our fleet includes 4 and 6 seat taxis, 8 seat people carriers, 16 seat minibuses, 22 seat luxury minicoach, wheelchair accessible taxis and numerous trailers to carry you, your baggage, your bikes and belongings. With over 10 year's experience, we are proud of reputation of being a reliable, professional and friendly taxi service. Please email or phone us to make a booking or an enquiry, our friendly and professional office staff are on hand to help. With an office and rank at Hexham Train Station and taxis on the rank near Hexham Bus station you can easily get a taxi from public transport links. 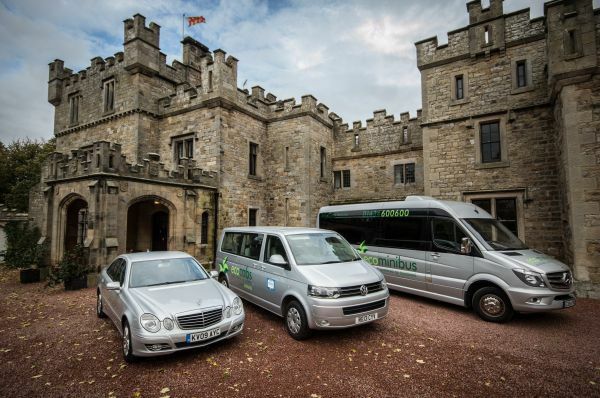 By booking in advance we can be ready to collect you at any other public transport destinations such as Corbridge, Haydon Bridge and Haltwhistle train station. 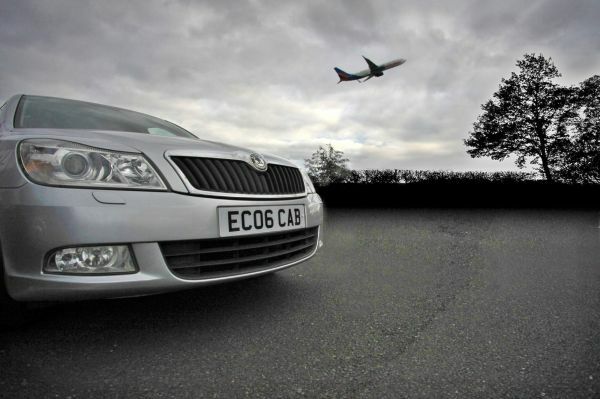 We provide a reliable and professional airport transport service to Newcastle airport as well as other airports including Teeside, Carlisle, Edinburgh, Leeds Bradford and Manchester Airport.